I found this book at a library book sale and it caught my eye for a couple reasons. 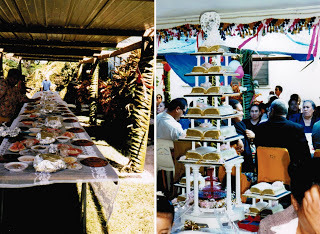 First of all, because at that time, my daughter Kristina wanted to have a birthday party with a luau theme, and secondly because my brother, Paul, lives in the South Pacific in the Kingdom of Tonga. And I am writing this today because it is Paul’s birthday. Happy Birthday, Paul! 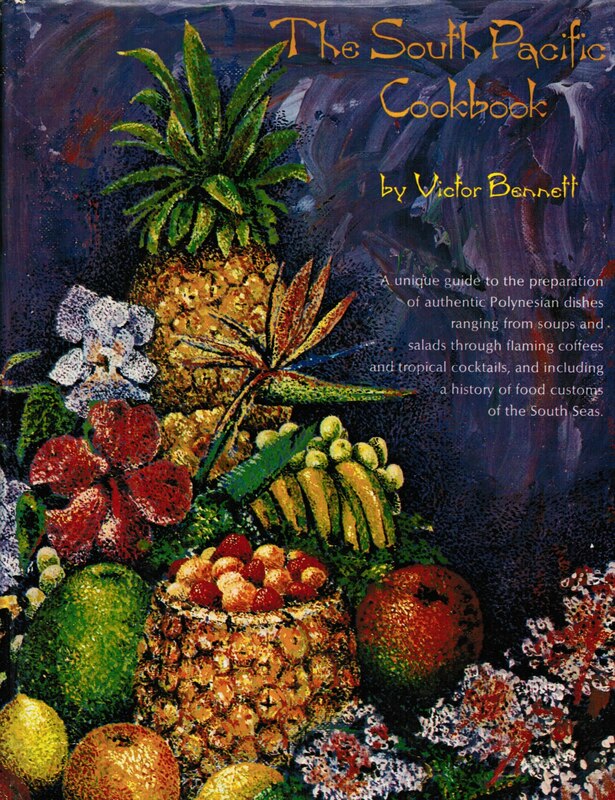 This cookbook is fascinating! 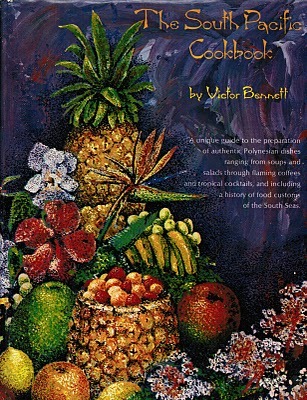 It’s not only filled with unusual recipes, but has a history of food customs in the South Seas. 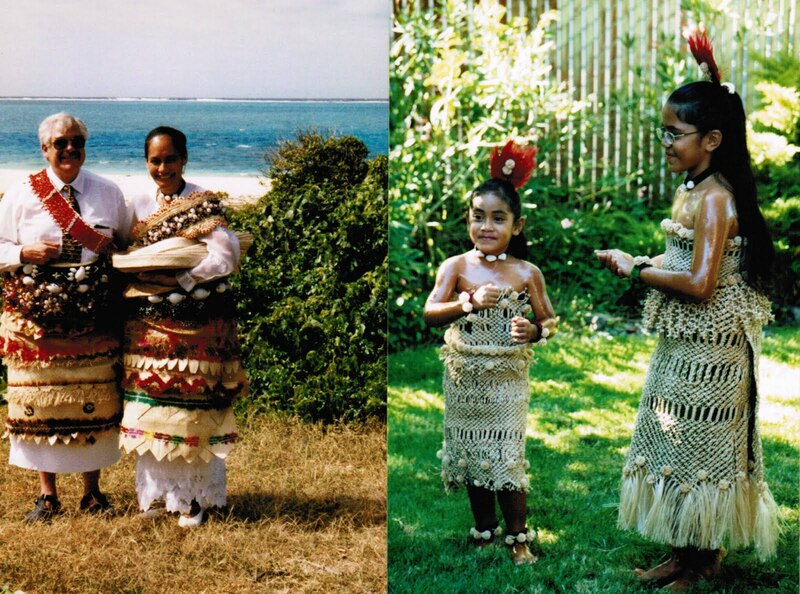 There is a delightful and dazzling array of Polynesian recipes which will add an exotic touch to any occasion. The chapter on hot and cold hors d’oeuvres includes bananas marinated in teriyaki sauce and coconut honey, then wrapped in bacon and broiled; flaming volcano sesame clams, grilled nectarines on a stick with brown sugar and fresh ginger; and a hot soy dipping sauce for tempura. There are very unusual soups and salads, a seafood section to die for, with everything from frogs’ legs to whale! The vegetable chapter will leave you wondering why one would ever settle for plain ‘ol veggies when you can make spinach in coconut milk, sweet potatoes with pineapple, or Tahitian potatoes with coconut flakes, which is said to be excellent with a roast pork. Flaming coffees and tropical drinks are a tradition: How about a blazing Tahitian coffee, fresh papaya nectar, or an intriguing drink called Buccaneer’s Ghost? There are chapters for curries, rice, and eggs; breads, fritters, and pancakes; and garnishes, chutneys, and pickles. The pork and barbecue recipes are none like you will find anywhere. No South Pacific island is complete without a pig roast. My brother, Paul, has promised to send me some photos from his birthday party today along with some party recipes. I will post all of these at a later date. 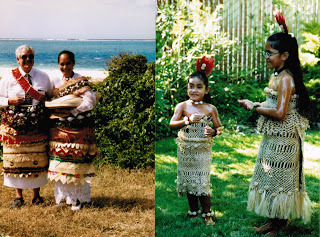 In the meantime, enjoy the photos below which will show you my brother’s Tongan wedding with his beautiful wife, Va’inga, and two of their darling daughters dressed up and ready to dance! Tongans know how to throw a party! !